Xanthan gum, refers to a polysaccharide made by fermenting corn sugar with a bacteria, xanthomonas campestris - the same bacteria that leads to the creation of black spots on vegetables such as cauliflower and broccoli. The strain of xanthomonas campestris used for obtaining xanthan gum is non-toxic and non-pathogenic for humans and animals. It is therefore preferred over several other emulsifiers in food products. Xanthan gum is actually one of the world’s 30 most used popular products used in the food industry. Demand across the food and beverages industry is expected to continue to remain one of the key forces driving the global market for xanthan gum in the next few years. Of late, the increased global demand for packaged, ready-to-eat, and convenience foods has significantly increased the uptake of xanthan gum in the food and beverages industry. 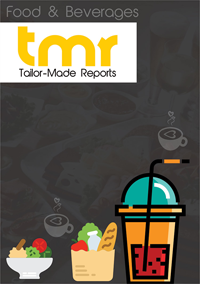 The food and beverages industry presently accounts for over half the global consumption of xanthan gum and the industry is expected to drive the market owing to high demand across food products such as salad dressings and sauces and dairy products such as ice creams. The inherent superiority of the product over other common hydrocolloids is also a key driver of the global xanthan gum market. However, the market is presently struggling to cope up with the reinforced policies regarding anti-dumping across a number of developed economies and restrictions on the import of xanthan gum from China and Austria. The rising mistrust regarding the quality of xanthan gum by suppliers in China, which is presently the leading producer of the product on the global front, is also expected to hamper the overall growth prospects of the market to a certain extent. Looking at the significant rise in demand for xanthan gum from across the globe, key producers of the product are focusing on the expansion of their existing production sites, strengthening their distribution channels, and exploring new regional territories to add to their customer bases. In February 2013, CP Kelco, one of the world’s dominant producers of xanthan gum, announced the expansion of its production facility in San Diego by around 40% so as to meet the heightened demand owing to a clampdown by the U.S. government on imports by Chinese and Austrian companies owing to quality issues. The company announced its plans to build a new manufacturing plant in North America for the production of and specialty xanthan gum and gellan gum. The global market for xanthan gum has been predominantly led by Asia Pacific. The region accounts for a significant share of the global market for xanthan gum and is expected to show growth at a promising pace over the next few years as well. The massive demand for xanthan gum from China is expected to help the Asia Pacific market for xanthan gum remain dominant from a geographical perspective. The thriving market for food and beverages in China and other emerging economies in the region such as India is leading to the high demand for xanthan gum in the region. North America is another promising market for xanthan gum and is expected to become a matured market in the next few years owing to the increased use of the product for a number of industrial applications. The demand for xanthan gum is expected to witness rise at a slower pace in regions such as Middle East and Africa and Latin America. The global market for xanthan gum features a largely consolidated competitive landscape, with the leading few companies accounting for a massive share in the global market. Some of the leading vendors operating in the global xanthan gum market are Archer Daniels Midland Company, MeiHua Holdings Group Co., Ltd, Fufeng Group Company Limited, Hebei Xinhe Biochemical Co., The Aurora Chemical, CP Kelco, The Zoranoc Oilfield Chemical, DuPont-Danisco, Deosen, Jungbunzlauer Suisse AG, Ltd., Cargill, Inc., FMC BioPolymer, and Solvay S.A.